Pepone, I rate This one a 10++++!!! Excellent color, super layout, exquisite craftsmanship...love your "uncluttered designs"! Thanks so much!!! Personally, I think you are a great DesktopX artist. But, the color gold needs to be richer, I think. Also, it seems that the silver-blue combination seems to be the most popular. I didn't rate this skin though, so it wasn't me. But, I offered my opinion because of your request. I agree with ChasUGC. Very good theme with great graphics. He may be correct about the colour though, blue does seem to be the most popular. Personally, I don't think the rating-system is a very good idea, everyone has different tastes. Hi pepone bold choice of colour, but it's good to see a variety, as it would get boring if every theme were blue. It has your usual high quality graphics, worth far more than a 3 rating. If this theme sill had a 3, then some serious sorting out would be needed in the DX library, as I�ve seen far worse themes with poor quality graphics achieve a 7 rating! Ok rant over excellent work pepone keep it up. I just rated this skin. I rated it based on your hard work and my appreciation of your work. As well as the graphics detail. A lot of your themes look a lot like the Aston and Altdesk. Maybe you should look at their skins for inspiration. I would love to see some of those ideas come to DesktopX. Because, I believe DesktopX has all those functions and much more with the scripts available for DesktopX. 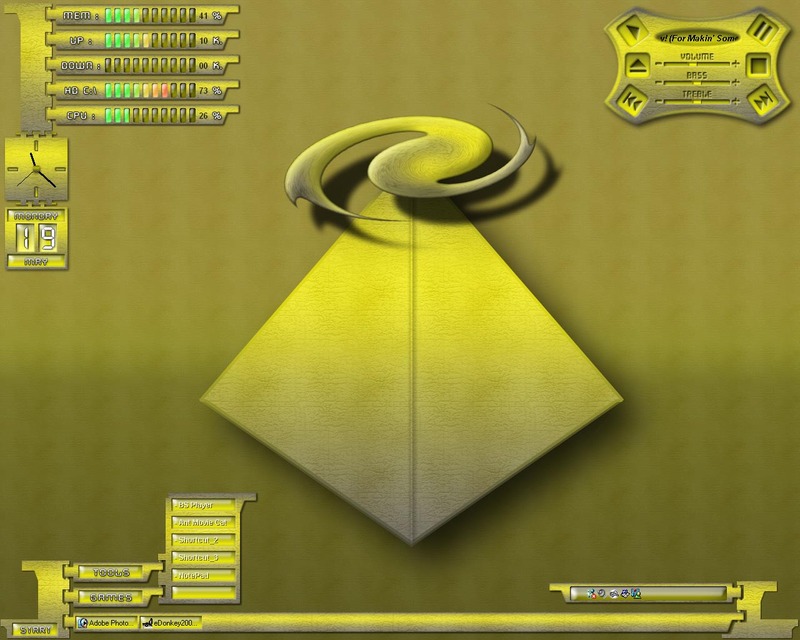 DesktopX is the best desktop shell, and you and Adam Solley are the best at it. And, I agree with Adam completely, KEEP IT UP, Please. I look very much forward to your next DesktopX. I get a feeling it is going to be awesome. Best of luck.